Security Professionals is a full-service low-voltage contractor specializing in security systems installation and service, and based-in Vancouver, Washington. We work hard to keep our service offerings competitive, and we offer the latest in technology. Our service area includes Portland, SW Washington and western Oregon. We are licensed low voltage contractors in Oregon and Washington. Security Professionals is proud of it’s alliances with major security equipment manufacturers such as Honeywell, Bosch, Pelco, Sanyo, Avigilon and others. These companies set the highest standards for quality and service, and Security Professionals provides the same high standards for its customer’s. 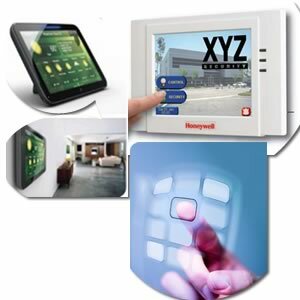 Our management team has 50+ years of experience in the alarm and access control industry. Our experience makes us one of the most knowledgeable alarm companies you can find. See right now what is happening at your home or office. Know who is in your building and that the facility is secure. Please call 1-800-922-0902, or contact us, and we will arrange a free on-site survey, discuss your needs and recommend options that will fit your budget and life style. All our systems come with a one-year parts and labor warranty and extended service agreements are available. © 2019 Security Professionals | Built by Zenith Exhibits,Inc.